Be it known that on this 6th day of August, 2007 the North American Holy Synod does hereby proclaim that Archbishop Aftimios Ofiesh, first presiding bishop of this Church, is hereby determined and proclaimed to be a Martyr for the faith. During his lifetime he suffered at the hands of the ethnic orthodox jurisdictions in the New World for his faith and his Church and after his death these same so called ethnic orthodox jurisdictions continued to write about Archbishop Ofiesh in an unchristian and defamatory manner. 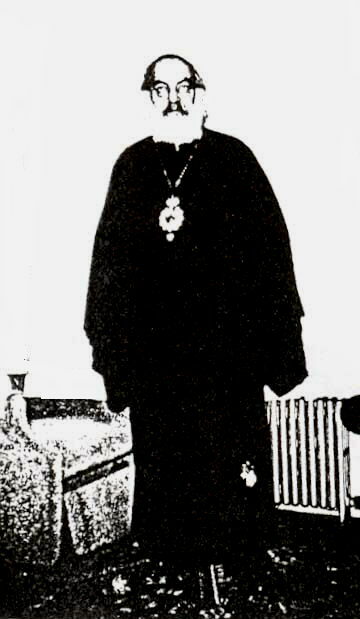 Pertinent to his appointment as head of the new American Church in 1927 until 1933, prior to his marriage, he suffered great mental anguish at the hands of the Schismatic orthodox jurisdictions who invaded his canonical jurisdiction, usurped his authority and territory, attempted to steal and did steal his parishes, accepted his suspended clergy without the required canonical letters, went to court contrary to the canons to steal the Cathedral from him and refused to recognize Archbishop Ofiesh, his synod, clergy or the American Church. The Schism became an open act when in 1929 Archbishop Alexander (Demoglou), the Greek Archbishop in New York claimed he had authority over not only the Greek Orthodox but all Orthodox in America. Along with numerous other acts, claims and statements of many orthodox clearly this was a Schism and violation of the canons. Then Ecumenical Patriarch Basil III refused to recognize this Church, our authority or clergy. Gradually all other orthodox jurisdictions including Metropolitan Platon followed the Ecumenical Patriarch’s lead in this matter. Today the present Ecumenical Patriarch still appears to be claiming to preside over all Orthodox worldwide. 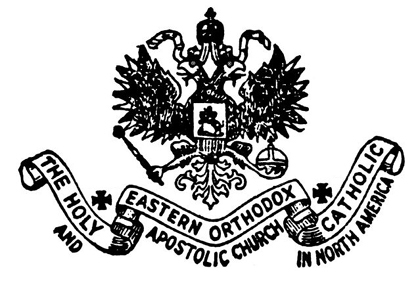 The Russian Patriarch has denied and refuted this claim stating all Patriarchates are autocephalous jurisdictions under the leadership of their own Patriarch. It should also be stated that in Orthodoxy we do not have a single leader over all as occurs in the Roman Catholic Church. The Synod has considered the matter of the Archbishop's marriage in 1933 and has determined that the marriage has no effect on the cause that led to this decision since the Schism began years prior to the marriage openly dated as of 1929. The suffering he underwent at the hands of these groups is the basis for our findings. Also it is clearly stated and agreed by most orthodox jurisdictions that the canon on married bishops is not a matter of faith, that it can be changed at anytime and that this canon was not adopted by all orthodox. Writers from the ethnic jurisdictions have claimed the early synod members of this Church made statements consistent with the synod not accepting or adopting the canon related to married bishops but then they make various claims including that the Archbishop deposed himself by marrying. The marriage is purely an excuse used by the Schismatics for the acts that occured long before the marriage. To re-enforce this Schism the Moscow Patriarchate, our Mother Church, established a second American Church to replace us which we consider a further act of Schism. First they abandoned us then they attempt to replace us. We Hereby declare and proclaim Archbishop Aftimios Ofiesh a Martyr! He would not bow down to the greed, power and usurped authority of the unchristian ethnic groups and he suffered at their hands. A Martyr is generally considered a person murdered for their faith but another acceptable meaning of “Martyr” is one who “endures great suffering or hardship” or “who undergoes severe or constant suffering” for any belief, principle or cause. It is clear that this is the case in regards to the life of Archbishop Ofiesh. The fact he continued to dress as a bishop, as conceded by members of the ethnic jurisdictions, demonstrates that he was still a bishop and head of this Church until his death on July 24, 1966. NOTE: The Synod had been considering this matter for a long time and the vote was taken at this time due to the continued unchristian efforts of some clergy from the ethnic jurisdictions who continue to rewrite history, publish untrue assumptions and claims about former clergy and claim our name is "misleading" in an effort to claim we are not who we are and to discredit us.